McNary came out swinging against Sprague, 17-5 overall and 11-1 in the Greater Valley Conference. The Lady Celts just didn’t land enough punches, falling to the Olympians 3-0 on Monday, Oct. 9. McNary’s best chance to pull off the upset came in the first game, which the Lady Celts led until Sprague took a 19-18 advantage. Two kills by sophomore Chloe Diede kept McNary within reach at 22-23 and a block by Valerie Diede tied it at 23-23. But the Olympians won the next two points to take the set 25-23. Sprague took a 6-5 lead in the second set and never let it go, winning 25-18 to take a 2-0 advantage. McNary led 14-13 in the third game but the Olympians went on a run to finish off the Celts 25-19. DeMello said the girls also need to work on communicating, especially when times get tough. 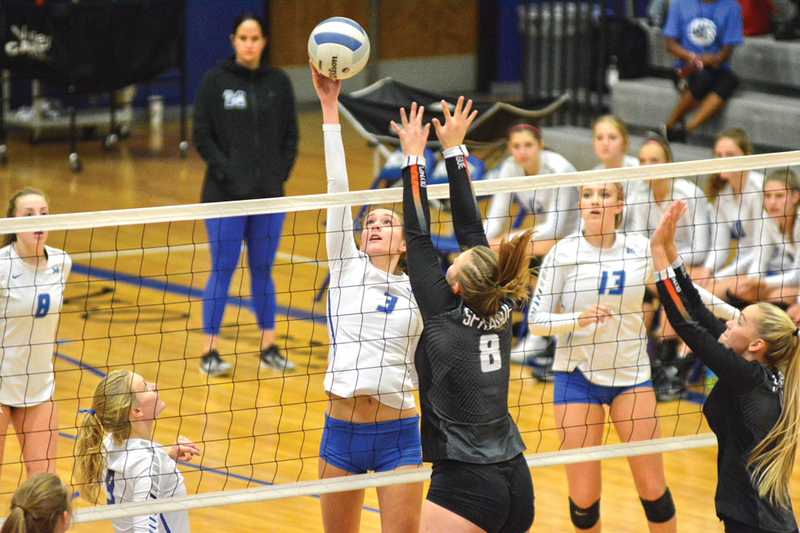 McNary went to Forest Grove, where they lost to West Albany 3-0 (16-25, 17-25, 22-25) but then defeated the host Vikings 3-0 (25-19, 25-8, 26-24) on Thursday, Oct. 5. The Lady Celts are playing in a tournament at West Linn on Saturday, Oct. 14 and then close out the regular season at home versus South Salem on Thursday, Oct. 19 at 6:30 p.m.